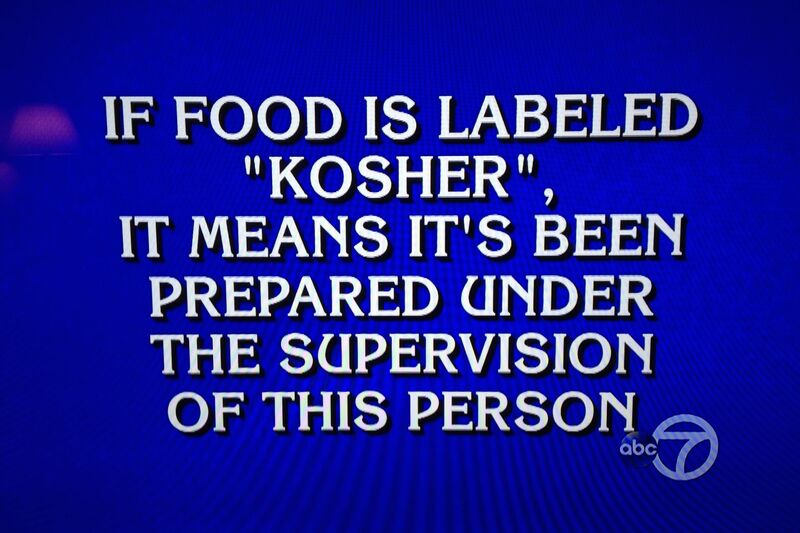 A couple of weeks ago, Jeopardy had a first-round category on “Food Labeling.” I always get excited for categories that fall within my areas of expertise. The answers are listed below, and the questions (Jeopardy is reversed, remember?) are listed at the end of this post. Get your trivia on! 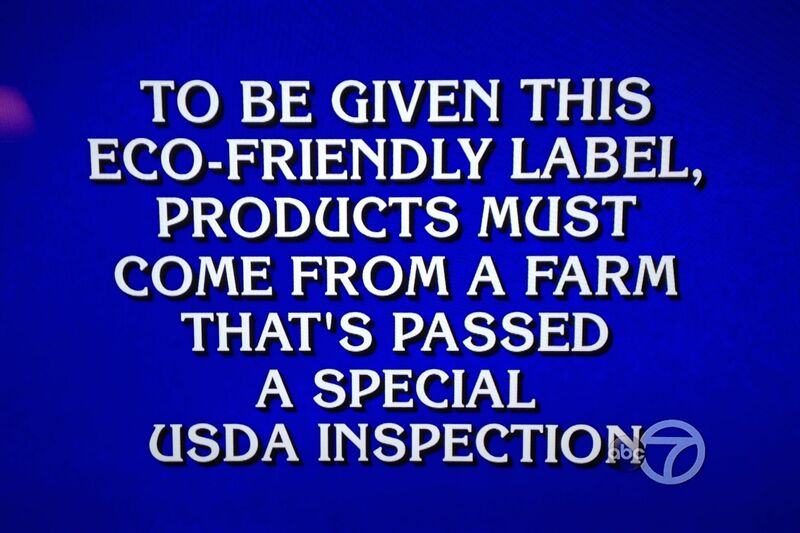 $200 – What is Organic? 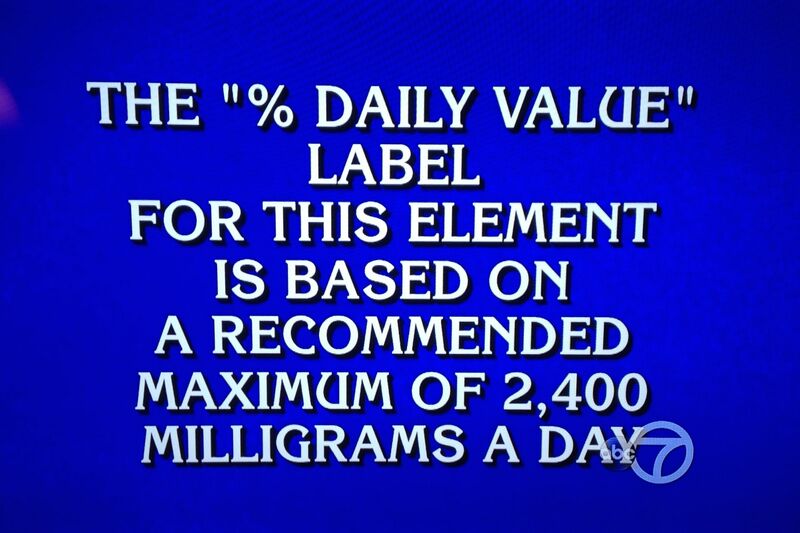 $400 – What is sodium? 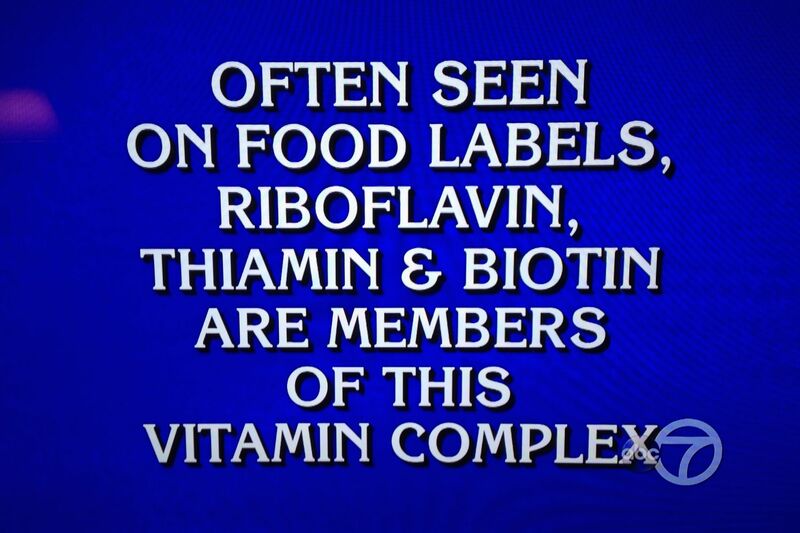 $600 – What is the Vitamin B complex? 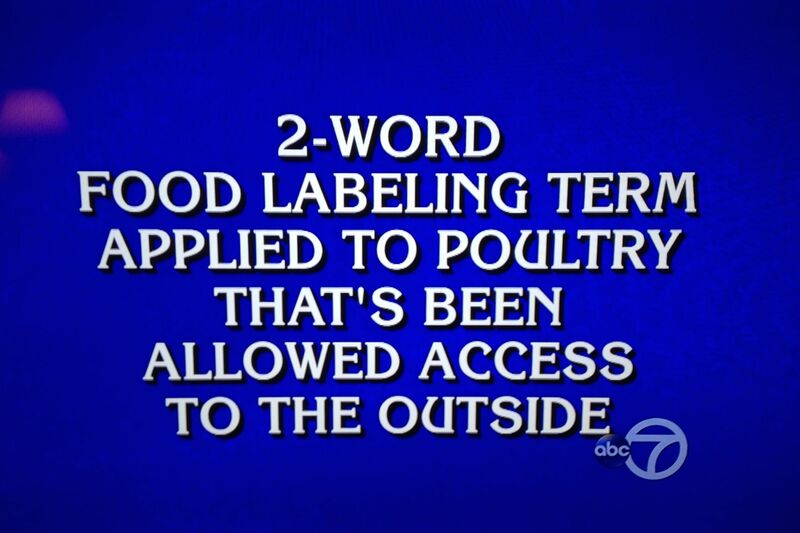 $800 – What is Free Range? 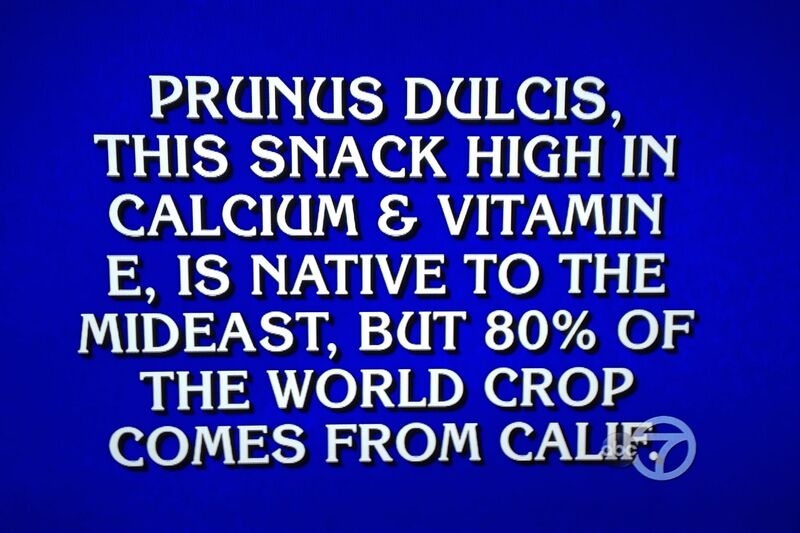 Final Jeopardy – What are almonds? Getting up to speed on mycotoxins in Africa: Is optic sorting the solution? 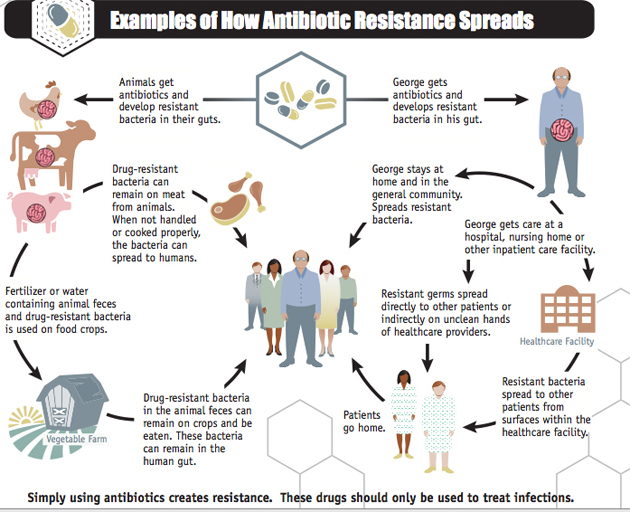 Combating mycotoxin contamination is a major frontier in the agricultural development sector. 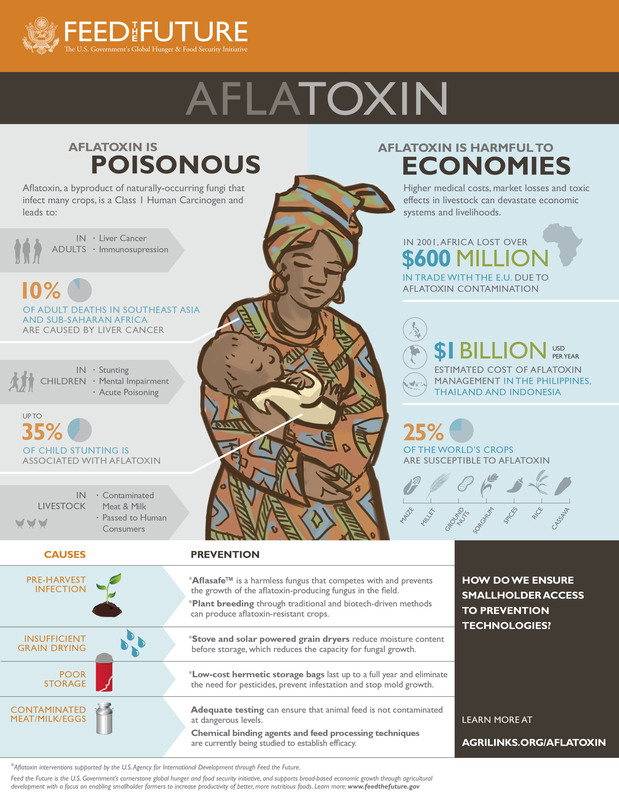 While mycotoxins (a category of toxic fungal metabolites) occur on many crops in many countries, the associated health burden is more visible in Sub-Saharan Africa. If you’re not feeling up-to-speed on mycotoxins in Africa, I highly recommend watching the presentation below by Dr. Rebecca Nelson, Professor of Plant Science at Cornell University. To download the slides used in the presentation click here. In a 35-minute narrated PowerPoint, Dr. Nelson highlights a number of recent studies examining mycotoxin prevalence in Kenya and the key factors that can influence mold growth and human exposure. Much of the research was conducted via local hammer mills in Kenya, which seem to be ideal sites for researching and managing mycotoxins. In her conclusions, Dr. Nelson proposes broadly-applicable steps that can be taken by consumers, farmers, traders/millers, and policy actors to tackle the mycotoxin problem going forward. Maize that is sold to market is often more contaminated than maize that a farmer keeps for her family. 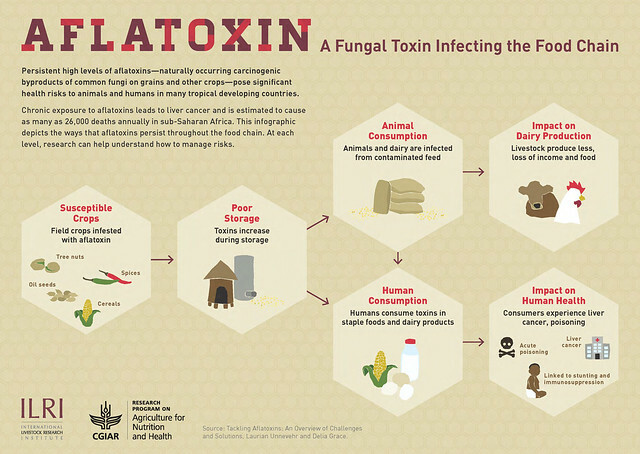 A study found that among a sample of households in Kenya, maize that the families kept for their own consumption had a 20% chance of exceeding the legal limit for aflatoxin (a notorious mycotoxin). Maize for sale, on the other hand, had a 40% chance of being over the legal limit for aflatoxin. Why such a stark difference? The discrepancy could be due to the particular maize varieties in question: a survey of 100 Kenyan farmers showed a tendency to keep the local varieties of maize (perhaps better-adapted to resist mycotoxins) for own-consumption, and sell the large-grain hybrids. Or, it could be that people simply take better care of maize that they are planning to keep: 50% of farmers surveyed admitted that they took less care in drying and storage for the maize they intended to sell. Another study showed that contamination was higher at mills than in storage, perhaps because farmers selectively sell older maize that will sooner reach its spoilage point. The human eye can’t discern if maize is contaminated by aflatoxin, but a specialized optical sorting machine can. The fungus that produces aflatoxin can worm its way into the center of a maize kernel, making it undetectable by the eyes of a farmer sorting her crop. Mechanized spectral grain sorting is being tested as a potential way to identify and remove contaminated kernels. An optical sorting machine uses an LED array and sensor to take a spectral image of each kernel, detects specific wavelengths associated with contamination, and jettisons contaminated kernels into a reject pile. In one study, toxic samples were rejected at a rate of 0-25%, while clean samples were rejected at maximum rate of 1%. Hopefully, further studies and technology advances will allow for a higher rejection rate of contaminated kernels. Hammer mill shops are practical places to enact mycotoxin awareness and reduction programs. Kenyan householders often visit neighborhood hammer mill shops to grind small quantities of maize. These local mills are good places to educate both maize producers and consumers about various mycotoxin mitigation methods. 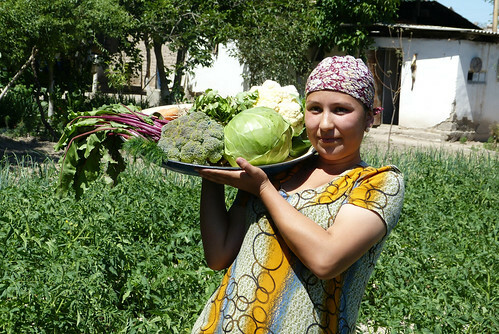 Many mills already have screened tables allowing people to pick out rotten kernels, which are discarded or go to livestock. This type of hand sorting is effective at reducing levels of some types of mycotoxins produced by visible molds, but not at reducing aflatoxin. If mechanized spectral grain sorting were paired with hammer mills, householders could walk away with a cleaner batch of maize to feed their families. Overall, I am impressed with the quality and creativity of the research performed by the Nelson Lab and its partners. Further economic studies and cost-benefit analyses will help researchers determine the feasibility of optical grain sorting at the local grain mill level.